Spectacular 4 bedroom beachside penthouse with pleasant views with the sea in the distance. All amenties nearby and just 5 minutes walk to the beach. Duplex penthouse enjoying large terraces with 2 bedrooms and one bathroom upstairs and the other 2 bedrooms and a shared bath room downstairs together with living area and kitchen. * PLEASE CONSULT APARTMENT AVAILABILITY BY EMAIL BEFORE RESERVING - RESERVATIONS MADE ONLY ON REQUEST BY CONTACTING HABITAT APARTMENTS. This apartment don't have testimonials. Cancellations must be notified to us by e-mail to info@habitatapartments.com and acknowledgement of receipt must be sent by Habitat Apartments. A 40.00% of total price is charged on your credit card for all reservations. The balance is payable to our representative at check-in on the arrival day. 500 € bills not accepted. A damage deposit of 500 € will be guaranteed by your credit card or paid in cash. We do accept Visa or Mastercard. Final cleaning : Included in the price. For check-in from 23:00 there is an extra charge of 50 €. In case you want to store the luggage in the apartment later than 11:00 you must call us the day before your exit day and we will let you know if it is possible. The apartment Delight Beach is located in Puerto Banús area. Delight Beach Apartment Marbella is perfectly located, easy access to the motorway, at only a step away from Puerto Banus and close to the best golfs courses of the Coast. Embrujo is surrounded by beautiful houses and is close to everything. Thanks to its microclimate and its mild temperatures you can enjoy the beach, sailing and golfs all year long. It is the perfect place to enjoy all the advantages of Marbella. 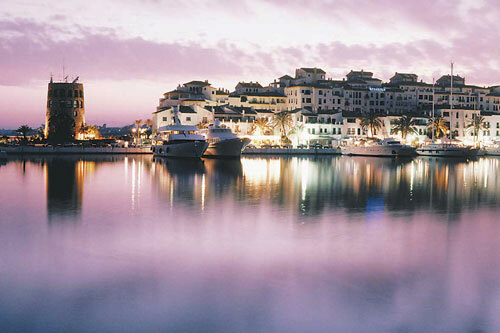 Puerto Banus is a luxurious area, between the sea and the mountains, the fourth more expensive port in the world (after Capri, Porto Cervo and Portofino). It has 915 berths for boats up to 50 meters in length with a maximum draft of six meters and 15 hectares are protected by breakwaters. In addition to the technical aspects is perhaps the most emblematic image of Marbella region. The rules described above are a resume of our general conditions. We have been awarded as the Spain's Leading Serviced Apartment Brand WINNER 2014, 2015, 2016, 2017 & 2018. All transactions are secured by SSL encryption. Click on the THAWTE Secure Site icon to view our SSL Web Server Certificate. Follow us for local tips, great deals and much more. What to do in Marbella? Spectacular beachside penthouse in Marbella with wonderful view on the sea. Many amenities nearby and 5 minutes walk to the beach.